Condor, legally incorporated as Condor Flugdienst GmbH, is a German leisure airline based in Frankfurt. It operates scheduled flights to leisure destinations in the Mediterranean, Asia, Africa, North America, South America, and the Caribbean. Its main base is at Frankfurt Airport from which most of its long-haul flights depart; secondary bases for Mediterranean flights are Munich Airport which also features long-haul flights, Hamburg Airport, Hannover Airport, Düsseldorf Airport, Stuttgart Airport, and Leipzig/Halle Airport. 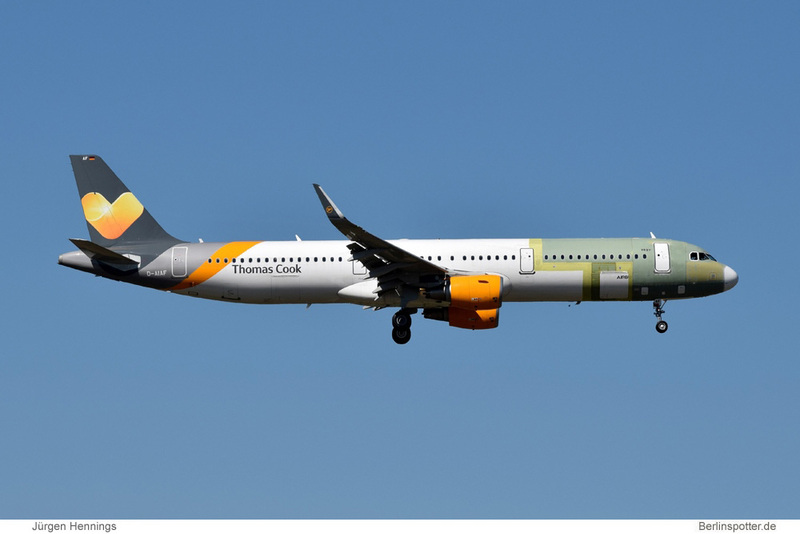 Condor added Boeing 757 and Boeing 767 jets to its fleet, operated from the production workshop of Südflug, a 100% subsidiary of Condor. In 1991, as the first leisure carrier, Condor introduced a separate and more comfortable Comfort Class (Business Class) to its Boeing 767 long-haul fleet. The Südflug subsidiary was integrated into Condor in autumn 1992. In 1995, Condor expanded its shareholdings: Alpha Holding GmbH (30%), Kreutzer Touristik GmbH (37.5%), Fischer Reisen GmbH (100%) and Öger Tours GmbH, with 10%, became part of the Condor Tourism Group. Condor also acquired Lufthansas 40% holding in the Turkish charter airline SunExpress, which was later increased to 50%. In 1996, commemorating the 40th birthday of the airline, US painter James Rizzi created a special paint scheme which was applied to one of Condor's Boeing 757s. With an order for 12 aircraft, the airline became the launch customer of the enlarged Boeing 757-300. In 1998, Condor Flugdienst GmbH was owned by C&N Touristic AG (later Thomas Cook AG). With the merger of Condor Flugdienst GmbH and NUR Touristic GmbH, Deutsche Lufthansa AG and KarstadtQuelle AG created the basis for an integrated tourism group with a European format both partners have a 50% holding in the company. In 1998, Condor Berlin GmbH was founded as a wholly owned subsidiary with headquarters at Berlin Tegel Airport. As with all other German airlines, Condor was not allowed to operate into West Berlin until 1990. It used Airbus A320 aircraft, which had recently been added to the fleet, replacing the Boeing 737 short-haul airliners. In the early 2000s, the Berlin business was moved to Schönefeld Airport. In early 2017 Condor's CEO Ralf Teckentrup introduced a plan to cut operating costs by 40 million, because of the 14 million operating cost loss and the 1.4 billion revenue drop. The passenger numbers also dropped by 6%. Condor had also planned new routes to the United States which were: San Diego, New Orleans, and Pittsburgh all flights to be operated by the 767-300ER. ^ a b "Condors headquarters"
^ "How to find us." Condor Flugdienst. Retrieved on 28 May 2011. "Condor Flugdienst GmbH Am Grünen Weg 1 3 65451 Kelsterbach GERMANY" and "Condor Flugdienst GmbH (location Oberursel) Thomas-Cook-Platz 1 61440 Oberursel GERMANY" and "Condor Berlin GmbH Airport Berlin-Schönefeld Postfach 12521 Berlin GERMANY" and "Condor Technik GmbH Cargo City Süd, Gebäude 507 60549 Frankfurt/Airport GERMANY"
This article based on this article: Condor_Airlines from the free encyclopedia Wikipedia and work with the GNU Free Documentation License. In Wikipedia is this list of the authors .